Midwest Regional Bancorp, Inc. was established in 2006 by a group of investors who believe the recent level of merger and acquisition activity in the financial services industry has created a void in the marketplace. More specifically, the initial investor group believes that there is still a significant customer segment that values the personalized level of service provided by a community bank. To provide high quality, traditional community banking services in communities that value the typical offerings provided by community banks. To provide a favorable return to its stock holders. In 2007, Midwest Regional Bancorp, Inc. began operation as a bank holding company as it completed the acquisition of The Bank of Otterville, founded in 1894 in Otterville, Missouri. 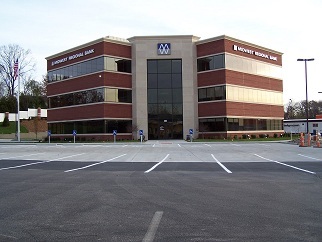 In 2009, Midwest Regional Bancorp, Inc. began its process of its preferred stock offering, expected to provide a substantial return for investors and provide capital funds necessary to expand the banking operations to the Festus market. Ask Us About Our Mascot! We love to tell the story of “Festus the Otter,” who represents the marriage of our rich 123 year history our exciting progress throughout Missouri and across the country.